Many rock outcrops appear along the trail to the summit. Scenes such as this are common, where plants crowd for space in the pockets of soil. 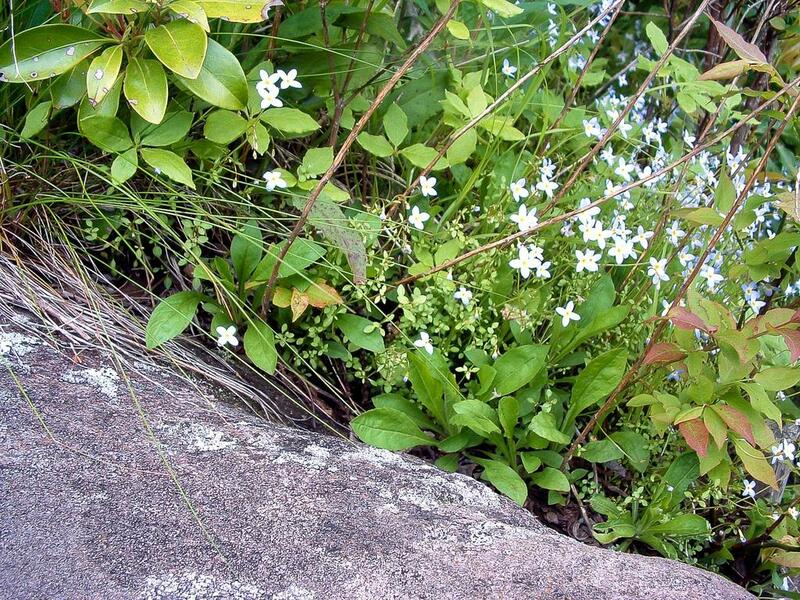 Seen here are bluets (the blue flowers), blueberry plants (lower right, with red/green leaves), and mountain laurel (upper left, large thick leaves) among other plants and grasses. This is just an example of the diversity of plant life in the Southern Appalachians!